It has been said that we need to be closer to our food in order to really remember what is important and healthy. The humorous Heffer Pitcher reminds you of just where that milk you are pouring on your cereal used to be before the carton. 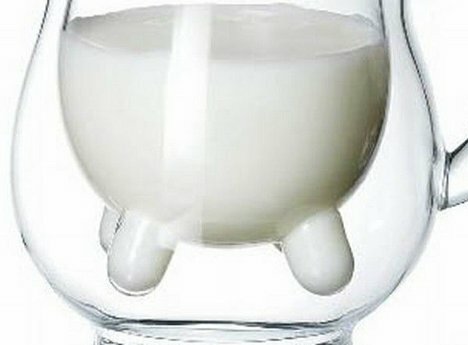 The $22 pitcher features an interior glass segment in the shape of cow’s udders. 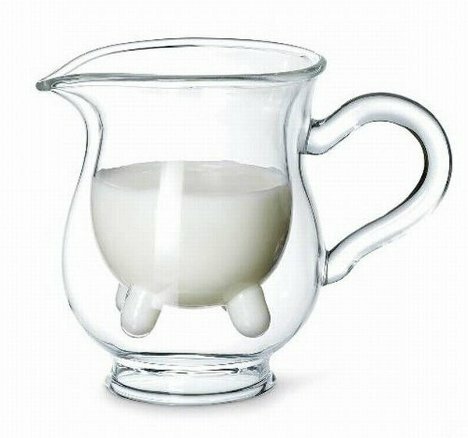 Of course, perhaps the carafe would work just as well to remind you of exactly why you drink soy or almond milk instead of cow’s milk. However you use this glass pitcher, it will definitely start some conversations and probably some smiles as well.